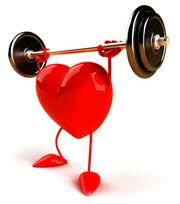 Toronto: Early and prolonged exercise and not rest seems to be the best option after a heart attack. A new study shows that the heart tends to become better with exercise sooner and with continued exercise over a longer period of time. 'While it has been shown that exercise has a favourable effect on heart function, it's also important to dispel the idea that what the heart needs is rest,' said Mark Haykowsky, study co-author and researcher in rehabilition medicine at the University of Alberta. Patients who began their exercise program one week after getting a heart attack were found to have the best heart performance, the journal Trials reports. For those who waited to start their exercise rehabilitation program, the results showed that 'for every week that a patient delayed his or her exercise treatment, he or she had to train for the equivalent of one month longer to get similar benefits', said Clark, according to an Alberta statement. 'Our findings suggest that at least six months of exercise is the most beneficial,' he added. Nice blog! Thanks for the invitation. Calcium & Heart attack risk..
How to Get Hair to Grow Longer and Faster? 7 beauty secrets you must know! How can I ease my insomnia?